Peace of mind. You really can't place a price on it. It comes from knowing that you’re being treated fairly and at East Coast Auto Body, peace of mind is included at no extra charge on every collision repair job we perform. At East Coast Auto Body, we understand that being without the use of your car or truck, even for a short time, can leave you feeling helpless. How will you manage your daily schedule without transportation? How do you know your getting the best price? How can you be sure the quality of the repairs will be what you expect? What if the repairs take longer than promised? When you bring your vehicle to East Coast Auto Body, you can rest assured that all repairs will be performed to the highest industry standards at the best price available and in the shortest time possible. Sure, any collision repair company can make these claims, but they’re more than mere claims; they're a commitment we’ve met consistently since we've opened our doors. It's the reason our customers come to us again and again for all their collision repair needs. 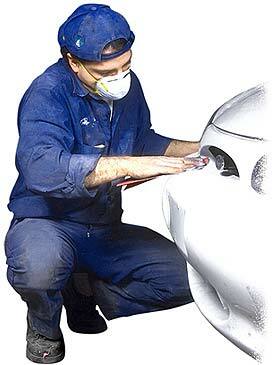 If you're in need of the best auto body repair call us at 732-869-9999.